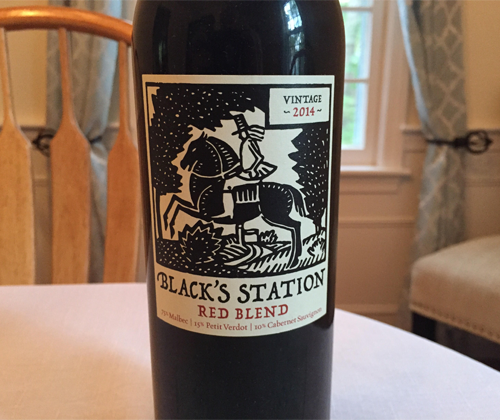 This time I'll be checking out their new label, Black's Station. Black's Station is what the town of Zamora, within Dunnigan Hills, used to be named. Needless to say, the vineyards that make these wines are in Zamora. I've already tried Black's Stations 2015 Chardonnay and the 2015 Malbec. Now I'm trying the 2014 Red Blend before I finish with the 2015 Cabernet Sauvignon. After an insane day at work, I'm about to pass out at my desk. Let's do this one quickly so I can curl up with my wife and baby and get yelled at for falling asleep too early. The 2014 Red Blend is 75% Malbec, 15% Petit Verdot, 10% Cabernet Sauvignon, and has an ABV of 13.9%. The color of the wine is ruby red with slight hint of purple. On the nose I get violets, cherries, raspberries, chocolate, and fine black table pepper. It's a nice nose but in the mouth it's a little flat. It has a medium body, soft tannin, an acidity that's strangely all over the place, and it all just seems a bit unbalanced. There is a bit of leather on the palate to keep things interesting, but it's mostly sticky red fruit flavors without the gusto to back it up. And everything fades quickly on the flat finish. Hmmmm... faulty bottle? Heat stroke? Maybe??? 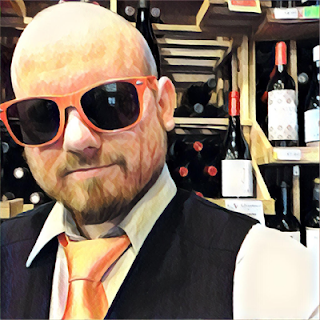 This guy was awarded 88 points and a Best Buy from Wine Enthusiast, so you might want to listen to them because I'm just not feelin' it. It's not BAD but I'm just not getting the personality that I expect from Matchbook. And, unfortunately, it does seem pretty unbalanced. That said, I've had far worse for $12 red blends. Much, much worse.